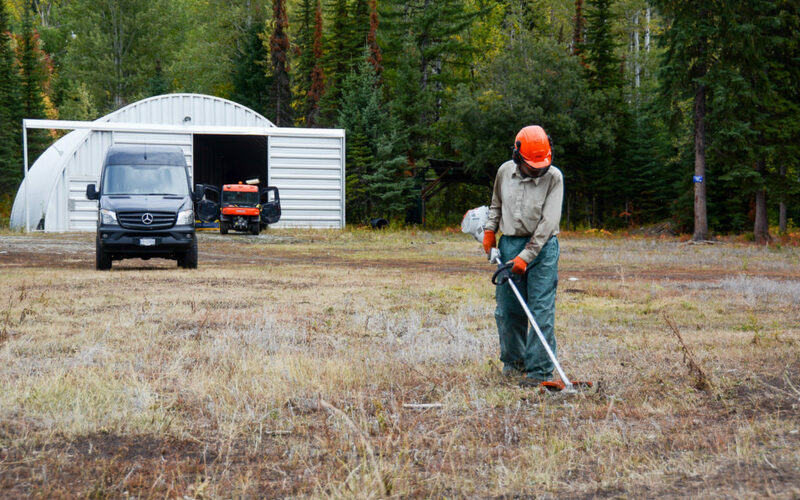 Every year a small group of volunteers spend weeks preparing trails for the upcoming season. 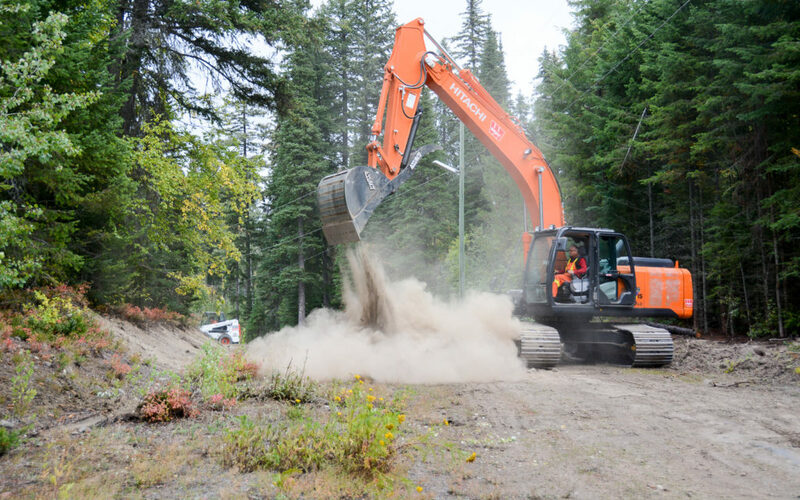 Brush cutting , downed and hazardous tree removal, rock removal, and repairing erosion due to water and vehicle usage are all part of summer grooming. Work is being done this year to widen some of the trails and remove tight radius turns which will make them easier to groom and fully compliant with FIS standards for racing (see previous post on homologation). 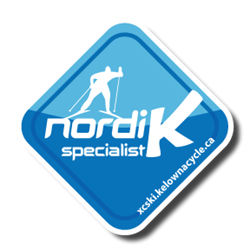 This qualifies the club to host high-level cross country ski races such as the 2019 Kelowna Toyota Western Canadian Championships. This year’s Westerns, and other events that occur throughout the season, are organized and run by a dedicated group of volunteers, athletes, and parents, including these two bandits James Williams and Tim Mayer caught running the big machines today. Widening the bottom of Telemark trail. 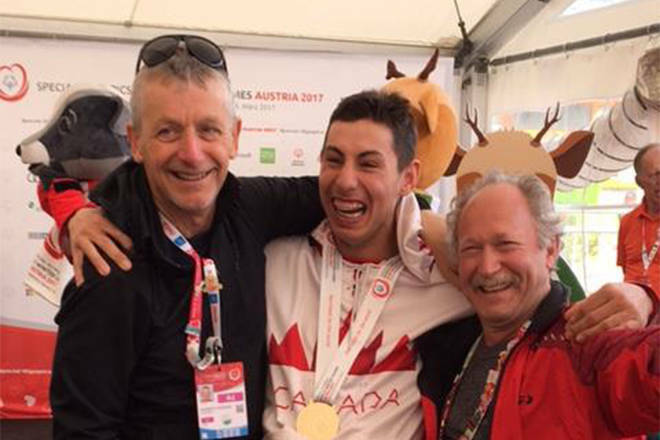 Garth Vickers, Telemark’s long time Head Coach for our Special Olympics ski and snowshoe team, will be a recipient of the prestigious Sovereign’s Medal for Volunteers, awarded by Canada’s Governor General Julie Payette. Garth Vickers is celebrated for his ability to bring out the best in athletes. Vickers has demonstrated outstanding leadership as coach at all competitive levels with Special Olympics for nearly two decades. The Sovereign’s Medal recognizes volunteer achievements in a wide range of fields across the country. Lieut.-Gov. Janet Austin will present the medals Thursday at Government House in Victoria. Congratulations, Garth, and thank you for your contribution to our club and our athletes.